This isn't your average bowl of rice. 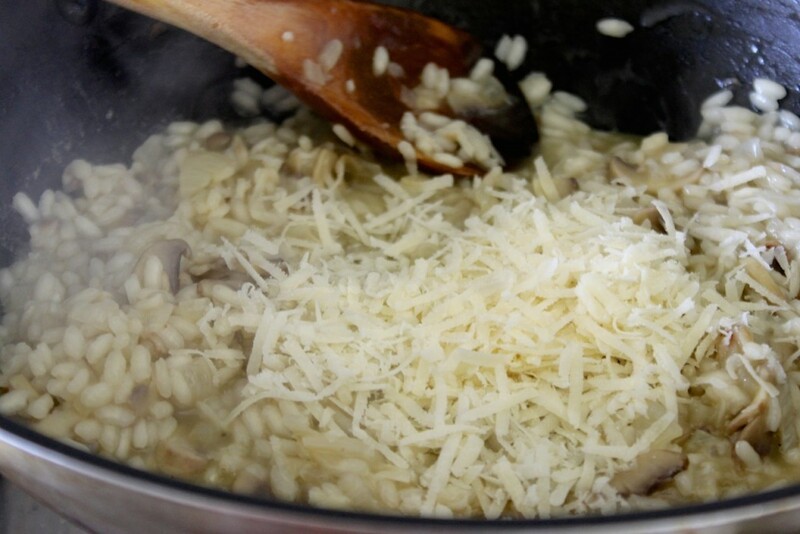 Risotto is one of the most popular ways of cooking rice in Italy. Usually, its ingredients include wine, broth and butter, plus in this recipe you can utilize some fresh vegetables. This version is not only simple to put together, but it also tastes far better than what you would get in a restaurant. Trust me on that. I’ve been using this recipe for years now and never get tired of it. A little extra time on your hands and a couple of extra ingredients really go a long way. 1. In a medium sized saucepan, add olive oil and butter and place over medium heat. 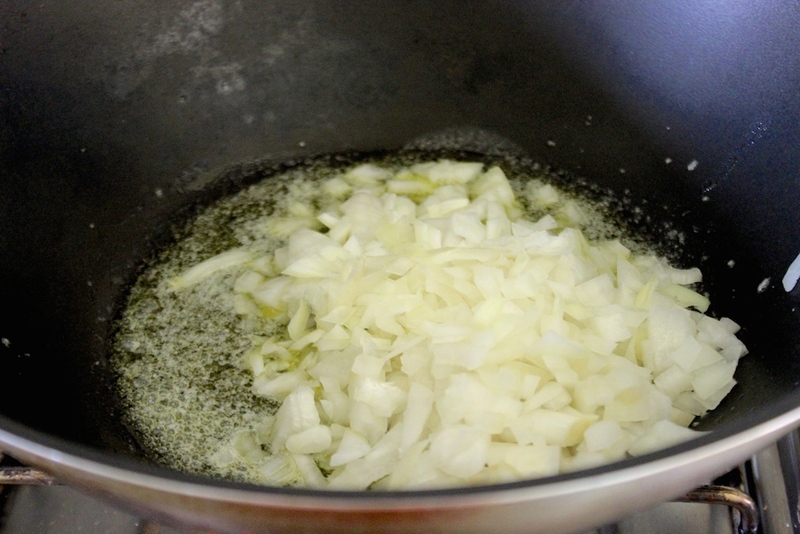 When butter is melted, add onions and sauté for about 5 minutes. 2. 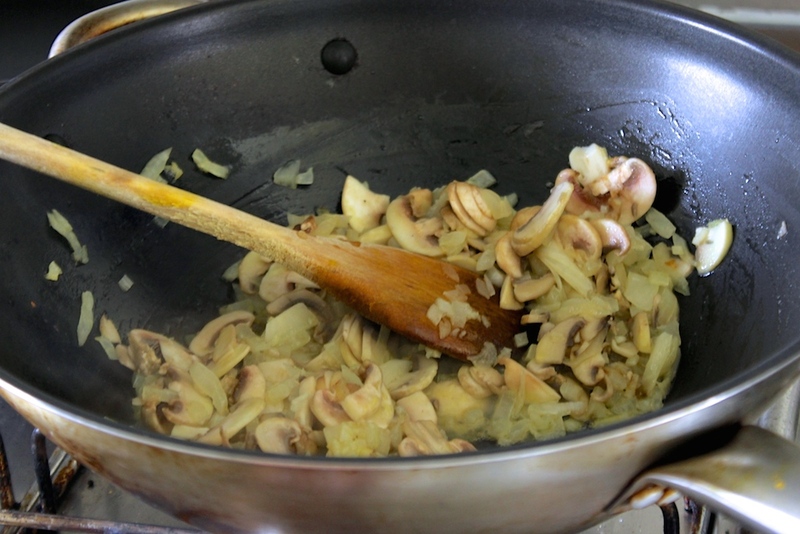 Stir in the mushrooms, cooking till soft. 3. Add the crushed garlic and sauté for another 5 minutes. 4. Next, stir in the rice to incorporate. 5. 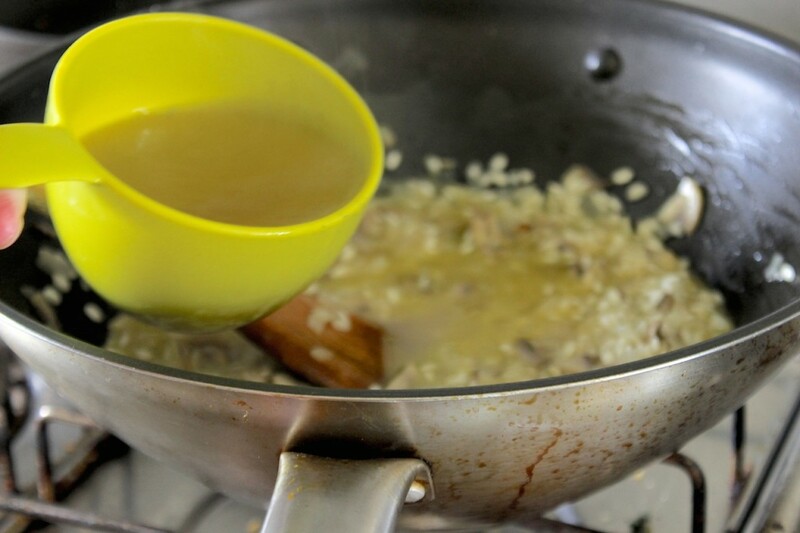 Pour in the white wine and cook over medium-low heat, stirring occasionally until absorbed. 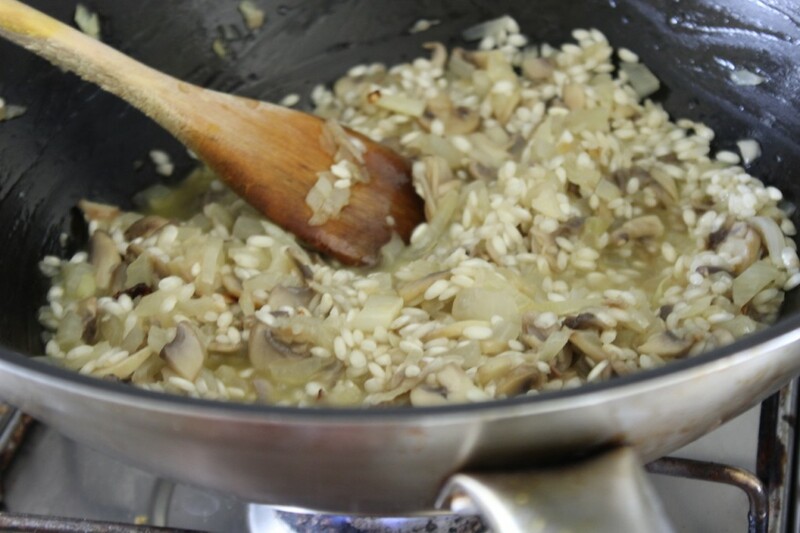 Then add the vegetable broth in 4 additions, waiting each time for the rice to soak in the mixture. 6. Add the cheese and and stir until creamy. 7. 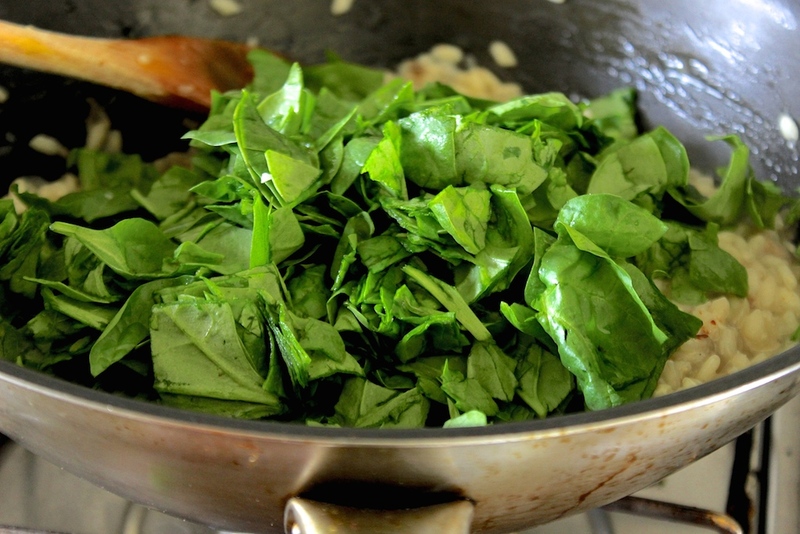 Add the spinach, cover the pan and cook until it has wilted. 8. 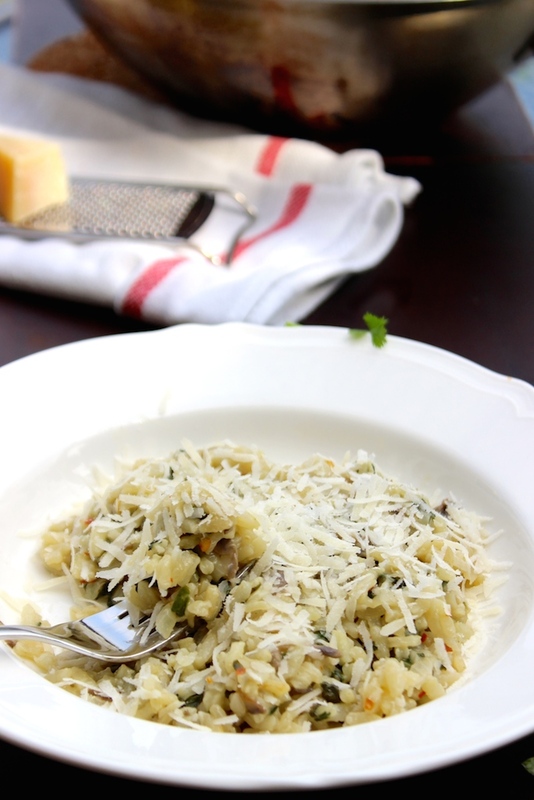 Serve with freshly grated cheese.